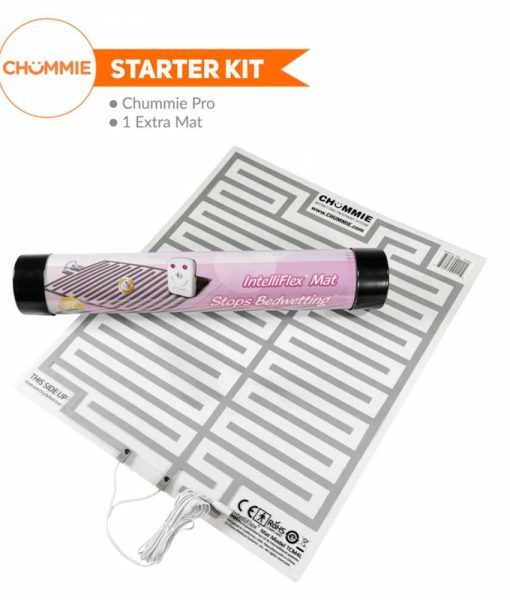 Set your child up for success with our Chummie Pro Bedwetting Alarm Ultimate Kit! For maximum treatment efficacy our kits have been developed by bed-wetting specialists. 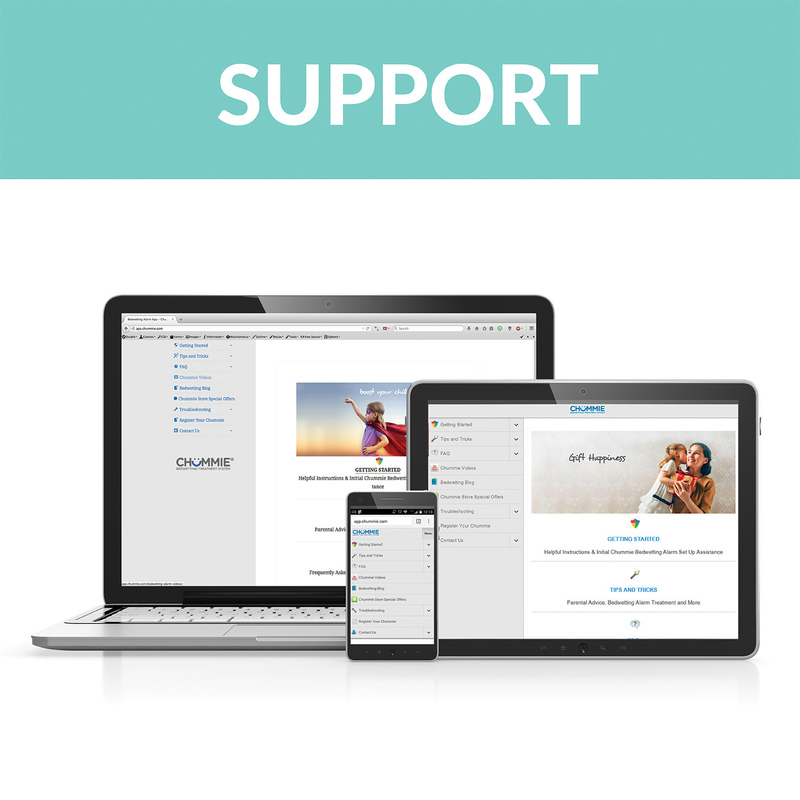 We’ve incorporated Better Technology For Faster Treatment™ in all our bedwetting alarm kit combinations which are a perfect way to introduce your child to stop bed wetting so they can sleep dry throughout the night. 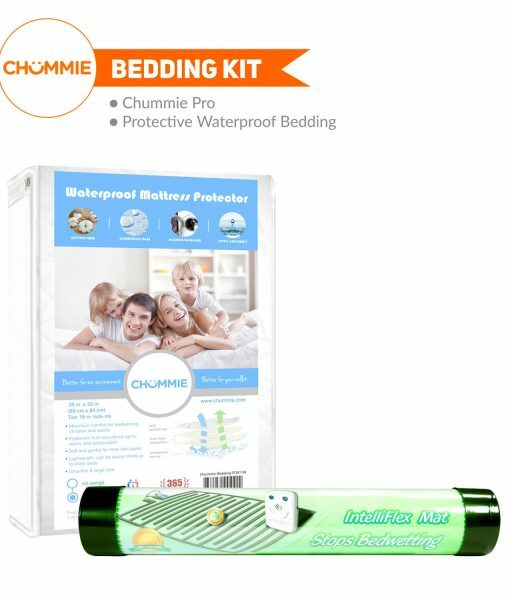 Chummie Pro Bedwetting Alarm is our ‘Most Trusted’ bedwetting alarm to stop bed-wetting in children and deep sleepers in weeks; Award winning, FDA registered, CE safety certified with 1 year warranty. 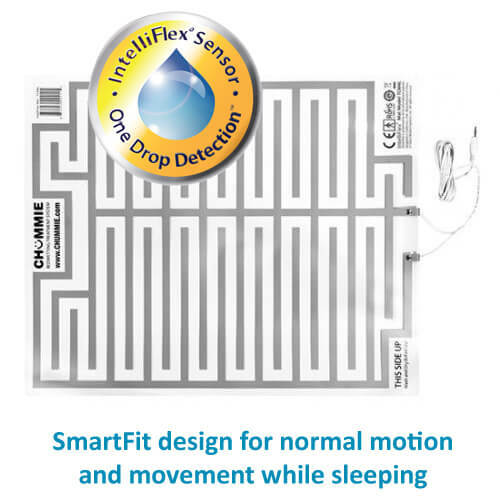 One Drop Detection IntelliFlex Mat will trigger the Chummie bedwetting alarm on detecting a single drop of urine for visible results in weeks. 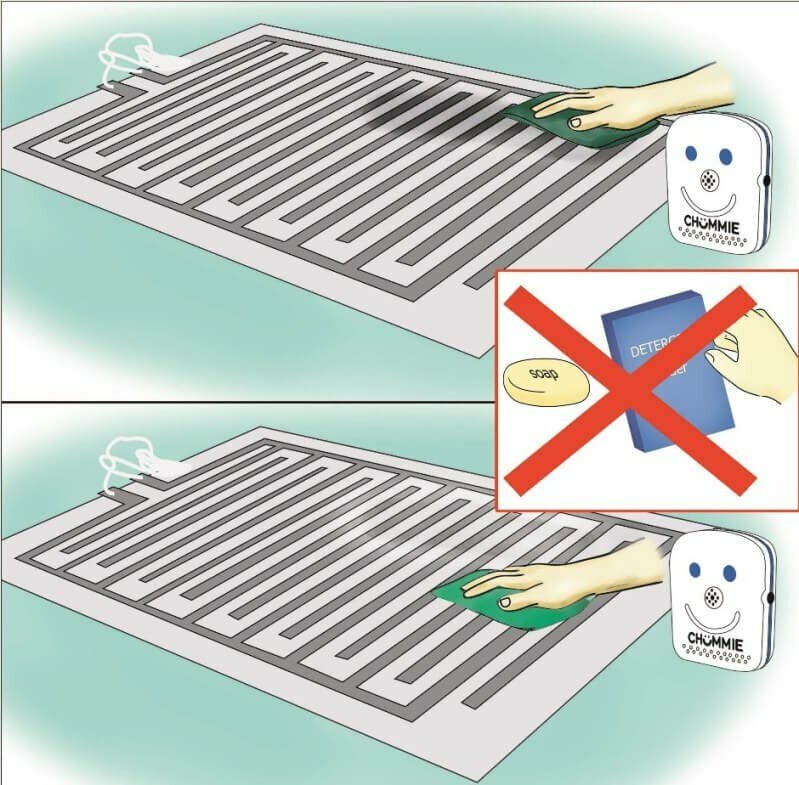 Enjoy the convenience of having a second mat on hand so you can quickly change mats after a bed wetting event in the middle of the night and return to bed. 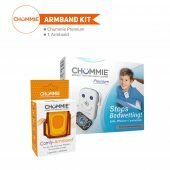 Our Top Rated Comfy-Armband is a Comfortable, Safe and Effective solution for securely holding the Chummie Pro Bedwetting Alarm when your child is asleep. Fits every Chummie model – Premium, Pro and Elite. 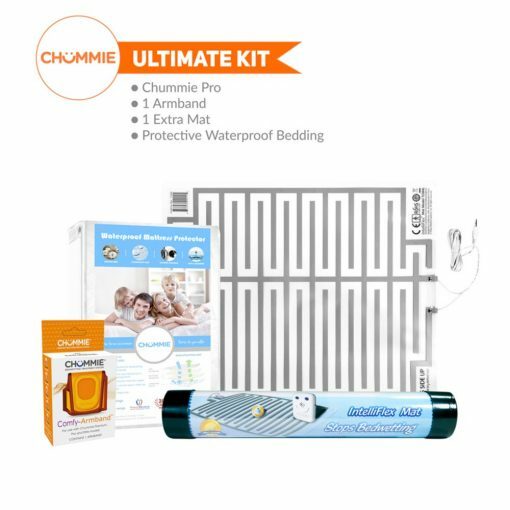 Every Chummie Pro Bedwetting Alarm Ultimate Kit comes with our revolutionary 3-Step Process to Stop Bedwetting.